Join the Carlsbad Education Foundation at Omni La Costa Resort & Spa Plaza on Saturday, March 23, 2019 as they spin stationary bikes to raise money for the continually underfunded Carlsbad Unified School District in their 5th Annual Pedal for a Purpose presented by Gelson’s Markets. This stationary bike-a-thon raises funds for music, science, and innovational education programs for the 11,000 students in the Carlsbad Unified School District. There will be music by DJ Extreme, high-energy spin instructors, activities for children, and a health and wellness expo. Riders receive VIP treatment in the form of massages, swag, drinks and nutritional snacks, contests, prizes and more! You’d think the Carlsbad Unified School District could afford to teach science, music, and innovational education programs on its own, but that’s not how our district works. 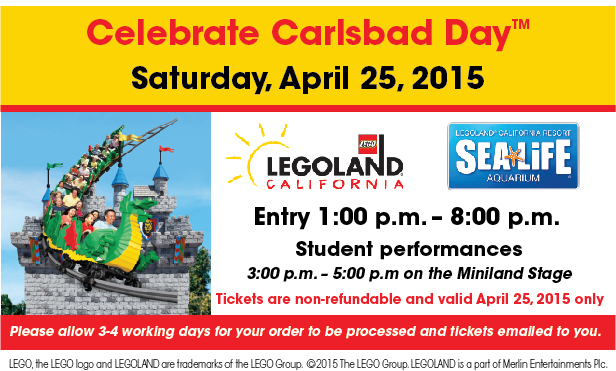 And because of this, the students of Carlsbad need your help. For all the official details, and exactly how you can help please follow the jump. 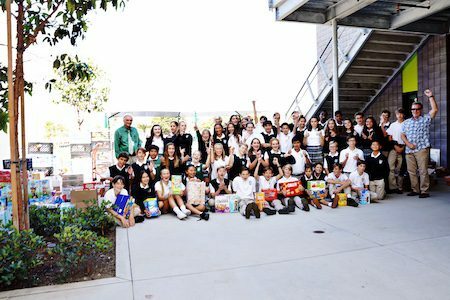 Students at Carlsbad’s St. Patrick Catholic School just rounded up more than 50,000 food items during their annual food drive to benefit Got Your Back and Interfaith Community Services. Nice work, Angels! Congrats to eighth grade class for winning the drive by bringing in 17,358 items. For the official word from St. Pat’s, please follow the jump. St. Patrick Catholic School, a 51 year-old parochial school in Carlsbad, will be holding a Grand Opening Celebration and Open House this weekend, January 28-29, 2017. Both events are open to the public and will provide the local community with an inside look of the newly rebuilt and remodeled 17,000 sq-foot school. On Saturday from 11 am until 3 pm, there will be a ribbon cutting ceremony, facility tours and a celebration party where the public can meet and greet with members of the school community. Food and beverages will be provided. On Sunday from 10 am until 12 pm, there will be an open house providing a closer look of the school. Each of the classrooms can be visited, providing an opportunity for parents to gain an in depth understanding of daily curriculum and meet teachers one on one. A new leadership development program for students was announced today as a joint collaboration by the City of Carlsbad, The YouSchool, the Servant Leadership Institute, Carlsbad Unified School District and local high school staff. 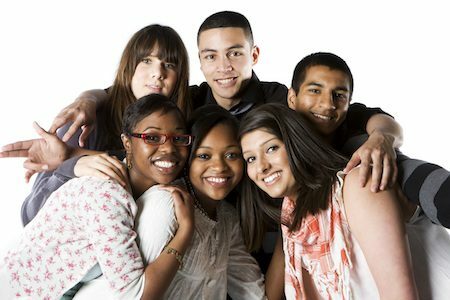 The Carlsbad Student Leader Academy will provide program guides and curricula to address issues affecting youth in Carlsbad and further developing emerging youth leaders through civic education and community projects. For the official word from the City of Carlsbad, please follow the jump. The Carlsbad Unified School District (CUSD) Board of Trustees is pleased to announce that it has appointed Dr. Benjamin Churchill to the position of Superintendent, concluding a rigorous and competitive selection process that attracted candidates from throughout the country. Dr. Churchill is a highly respected educator currently serving as Chief Academic Officer for Community Unit School District 300 in Alonquin, Illinois. He is passionate about all aspects of teaching and learning and is especially interested in classroom technology integration, early learning and kindergarten readiness, workforce development, and career pathways for all students. Dr. Churchill will be officially introduced to the community at the CUSD’s regularly scheduled board meeting on May 18, 2016. For the official word from the CUSD, please follow the jump. The pediatric dentists at Great Smiles (with locations in Carlsbad and Solana Beach, California) are working to keep your kids’ smiles great by offering to buy back their Halloween candy at $1 a pound. And the 10 school classes that bring in the most candy will each get a pizza party. 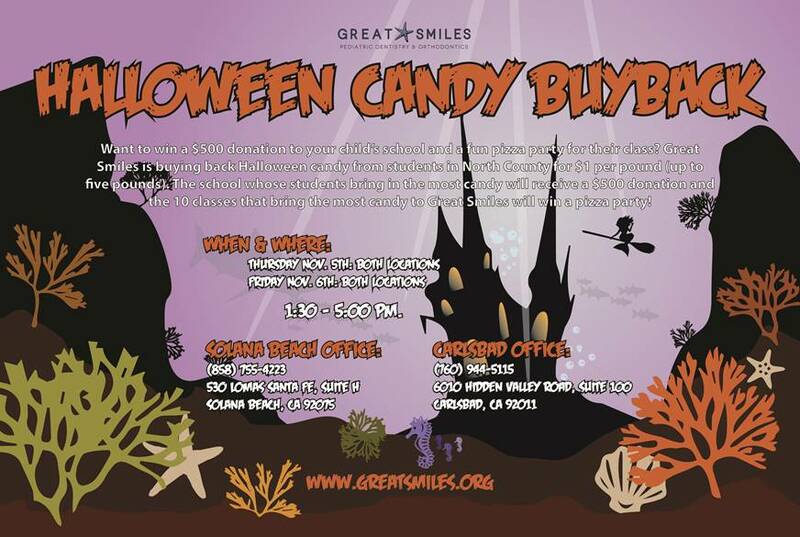 To prevent rampant cavities and ease the blow of forfeiting some Halloween treats, the folks at Great Smiles are hosting a Halloween candy buyback where they are paying North County kids $1 for each pound of candy they bring in. Continuing their commitment to the community and its children, when kids drop off their candy they can simply say what school and teacher they have to be entered into a North Country-wide competition. When it’s all said and done, the 10 classes that bring in the most candy win a pizza party while the school with the most candy donated on its behalf will win a $500 donation. Anyone under 18 can donate candy, with a maximum of 5lbs per person. They don’t have to be Great Smiles patients or even say what school/class they attend (unless they it to count towards the contest). That’s it. Less candy consumed equals less cavities and more healthy, great smiles in the community. Sounds like a great way to get the kids into the office and much less painful than the usual way. For more info, please click above image to get a closer look. 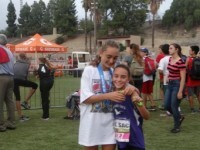 Skyler and Stormy Wallace, two sisters representing Aviara Oaks Middle School, participated in the Mt. SAC Cross Country invitational, in Walnut, California, and both finished first in their divisions. A record 25,000 participants competed over Mt. SAC’s famed three mile cross country course. Included in those 25,000 runners were two sisters representing Aviara Oaks Middle School – Skyler and Stormy Wallace. Both girls placed first in the two mile event – Skyler in the 8th grade division and Stormy in the 6th grade division! Races start every 8 minutes or less, and all results are shared on a live webcast. The course has changed little over the years, making it one of the few courses where different generations can compare times. Both girls train with the Boys & Girls Clubs of Carlsbad at their school. For the official word, follow the jump. St. Pat’s Angels, an initiative created by St. Patrick Catholic School in Carlsbad, will be holding a food drive for Got Your Back San Diego and the Bread of Life organization. Students from the school will be collecting a variety of foods for the organizations. The drive will run from September 30 to October 2, 2015. The public is welcome to participate by dropping off items at the school’s front gate off of Pio Pico Drive today or tomorrow.